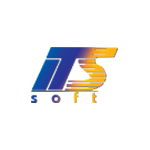 ITS-Soft was founded in 1997 and for more than 15 years has been engaged in the development and manufacture of vehicle satellite monitoring systems. Company headquarters is situated in Moscow, while its partners also operate in other regions of the Russian Federation. Company business domains are numerous and include agriculture, haulage, collection, security, construction, housing and utilities, fuel industry, airport services and etc.